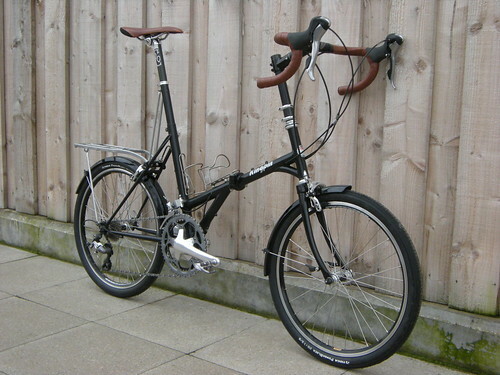 Me and my partner both have Pannonia Mayfair folding bikes. He came across his by accident, acquiring it for £10 and not really knowing what kind of bike it was and then, having rode his I decided I wanted one, which we did discovered was an almost impossible task. It took months to find another one but he did eventually find one for my birthday. I would just like to know a bit more about our bikes, like what year / decade they're from etc. If anyone can give u s any background that would be great! These bikes were made in Hungary, and they were (and still are)very popular , too. Hungarian version is called: Csepel "Camping". Under the brand "Pannonia" the factory made motorbikes as well, but this operation ceased in the mid '70s. Never knew they exported them to Western countries, so it's good to know. They are very tough, dependable, if rather heavy due to the mostly steel parts. 40-50 years old ones are still happy to roll. After the '80s, build quality rapidly went down sadly. Whatch out for early handlebars without welded central stiffenig rod- they are prone to crack close to the stem. With the very thick frame tubes rust is not a major issue, paint is usually durable, too. I doubt that different frame sizes were made, it was more like "one size fits all", as the very long stem and seatpost provide enough way to adjust it properly for most people. Steering is very quick, small wheels can't really cope with bigger potholes, so riding can be a bit tricky and takes some acclimatization. Can be easily tuned with using alloy parts(cranks, rims, bars, seatpost, pedals, etc), so you can make a decent, usable bike for yourself. Most of them are 1 speed, but few were made with hub gears. If you fancy a retro one - low miles, unmolested condition, even original tires-let me know in PM and I'm sure we can work out a deal. They look similar to the Raleigh 20 and Raleigh Shopper and the Dawes Kingpin of the same era. Thank you for your replies. Our bikes look a little bit like the picture above but slot of defferenves, such as handle bars. Ours both have 3 gears (L, N, H). I have a good picture of them but I don't know how to put it on here. Nice to know their age and a bit about them!